For the German Empire, 1888 was the year of three emperors. On March 9, 1888, the 90 year old Kaiser Wilhelm I died, and his only son, Friedrich Wilhelm Nikolaus Karl, ascended to the Imperial throne as Kaiser Friedrich III. Friedrich was raised in his family's tradition of military service and became a great military leader, during the wars leading up to the establishment of the German Empire, but he actually professed a hatred of warfare and was praised by his friends and enemies alike for his humane conduct. In 1858, Friedrich had married Victoria Louise, the daughter of Queen Victoria and Prince Consort Albert. Crown Prince Friedrich, held Queen Victoria and Prince Albert in very high regard, and he had an enduring and loving relationship with Victoria Louise. They both shared a liberal ideology, which led them to seek greater representation of commoners in government. 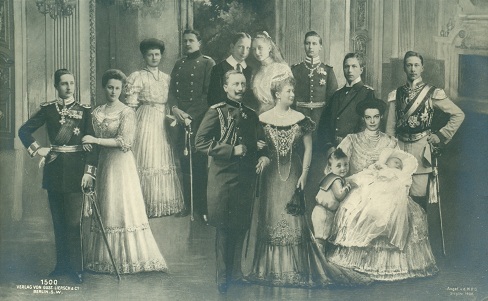 Friedrich and Victoria Louise planned to rule as consorts, like Prince Albert and Queen Victoria, and to replace the office of the Chancellor with a British-style cabinet, with ministers responsible to the Reichstag. Of course, the very conservative Prussian political establishment and Chancellor Bismarck were horrified by these liberal ideas. 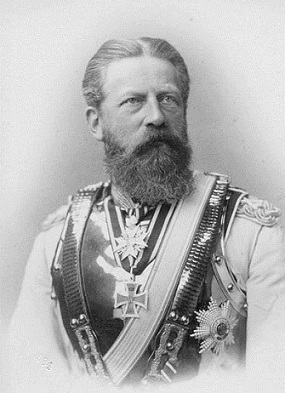 Unfortunately, on 15 June 1888, following a long struggle with Cancer of the Larynx, Friedrich III died, after a reign of only 99 days. Had he ascended to the throne earlier, with his consort Victoria Louise, and his ideas of government reform, based on the British model, world history, as we know it today, could have been very different. On June 15, 1888, Friedrich's oldest son, Friedrich Wilhelm Viktor Albrecht, ascended the throne of the German Empire, as Kaiser Wilhelm II. Wilhelm was also the first Grandson of Queen Victoria, and at the time he was born, he was sixth in the British line of succession! 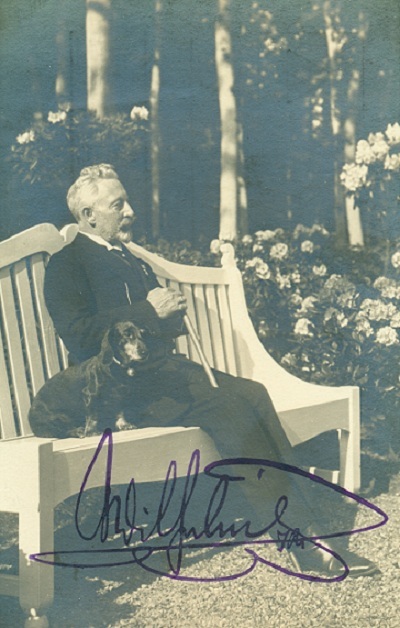 Chancellor Bismarck had exerted great control over Wilhelm, and even alienated him from his parents, in an effort to use the young prince as a weapon, in order to preserve his own political dominance. Wilhelm shared none of his parents' liberal ideas, and the rift between he and his parents over their political ideologies, endured throughout their lives. 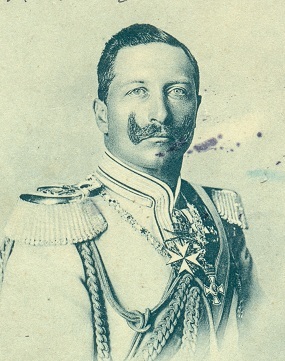 His mother, Victoria Louise, viewed Wilhelm as a "complete Prussian". Though Chancellor Bismark was a great mentor to the prince, during his youth, Wilhelm quickly grew tired of Bismarck, once he became emperor. After a political struggle over Wilhelm's interest in social problems, especially in regards to the treatment of mine workers, the emperor forced Chancellor Bismarck to resign in 1890. In freeing himself from Bismarck, Wilhelm had hoped to increase his control over the government of the German Empire, but quite the opposite happened. After a succession of strong Chancellors, the emperor found his governing powers much weakened. Following a series of unfortunate events, culminating in the Great War (World War I), his influence receded, and after 1916, the German Empire had effectively become a military dictatorship under the control of generals Paul von Hindenburg and Erich Ludendorff. He was increasingly cut off from reality and the political decision-making process. Wilhelm did remain a useful figurehead, and he toured the lines and munitions factories, awarded medals, and gave encouraging speeches. As the war drew to a close, and with revolts breaking-out throughout Germany, Kaiser Wilhelm II was forced to abdicate on November 9, 1918 by the Chancellor, Prince Max of Baden. The abdication instrument was signed November 28, and by then, his six sons had sworn not to succeed him, so ending his dynasty's connection with the empire and with the crown of Prussia. The following day, November 29, 1918, the Kaiser crossed into the Netherlands, to begin his exile. After the Treaty of Versailles, Queen Wilhelmina refused to turn him over to the Allies. He purchased a small castle in Doorn in 1919, where he was to spend the remainder of his life. Kaiser Wilhelm II died on June 4, 1941. He vowed that he would never return to Germany, until the monarchy was restored, so he was buried in a mausoleum in the grounds of his estate in Doorn, where he remains to this day.